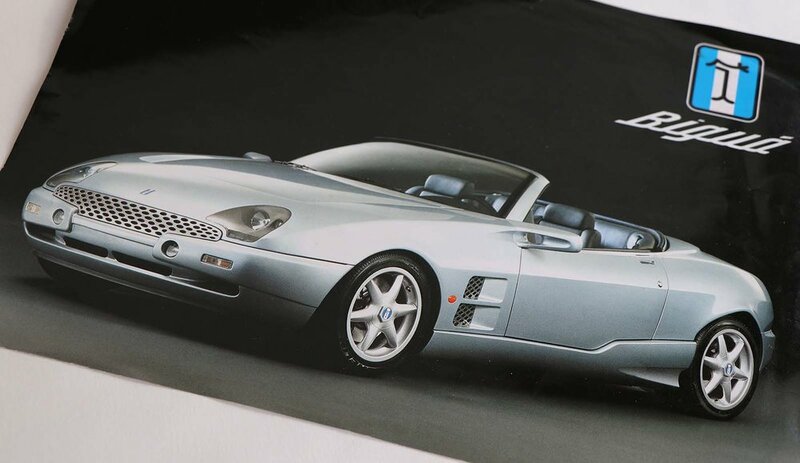 First presented at the Geneva Motor Show in 1996, the Qvale Mangusta was a sports car produced in Italy, by the automaker Qvale Modena SpA between 2000 and 2002. Originally named the De Tomaso Biguá, the prototype had been built under advice from Maserati Technical Director and friend, Giordano Casarini, who had suggested that De Tomaso should build 'an Italian TVR.' The styling design had been a joint collaboration between De Tomaso and Marcello Gandini; the most unique design feature of which was the modular top design, which could be configured in any of three ways: closed coupe, open-topped targa, or full open convertible. Powered by a Ford 4.6L DOHC V8 with a rear-wheel drive layout, it was offered with either a BorgWarner T45 5-speed manual gearbox or a 4-speed automatic. The chassis employed a tubular frame and the bodywork rendered in a combination of fibreglass, Kevlar and other composite materials. Brembo provided the 4-wheel power disk brakes and new 17" alloy wheels were cast for DeTomaso. Inside, the car featured a "retro" dual cockpit design, finished in leather, with air conditioning, electric windows, door locks and seats and a performance CD sound system. During development and in very early production, the car was badged as the De Tomaso Biguá. However, having found himself in need of funding for further development and having failed to obtain support from the Italian government; De Tomaso turned to the Qvale family for financial backing. After this, and as a part of the agreement, other early production cars were badged the 'De Tomaso Mangusta' before De Tomaso eventually became disassociated from the project and all subsequent cars then received the 'Qvale Mangusta' name.